Interested in hiring Danni to speak at your next event, on your podcast, or as your next on-camera personality? As a seasoned TV Personality, Science Communicator, and Ocean Explorer, Danni has over 9+ years of science media experience. She is the first African-American young woman to host her own nationally-syndicated science show which is seen in nearly 95 million homes in the US on FOX called Xploration Nature Knows Best. 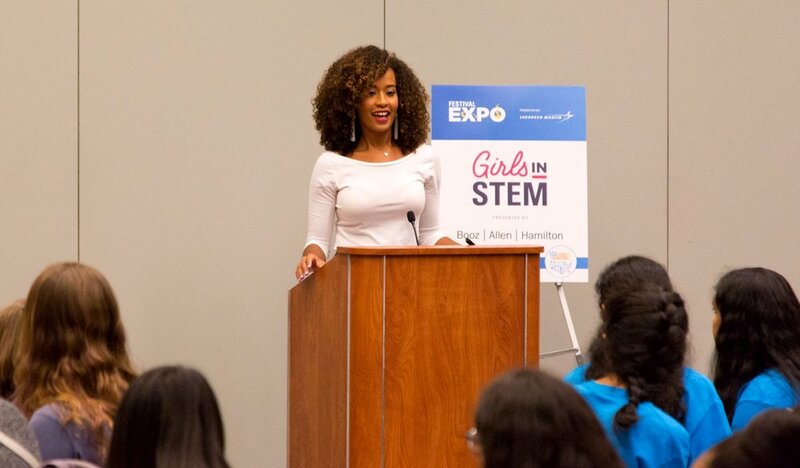 Recently, she’s been a featured member of Amy Poehler’s Smart Girls #STEM10 documentary series, a presenter at the G.I.R.L. 2017 Girl Scouts National Conference, a featured speaker at the Borneo Global Issues Conference, was the recipient of the EARTHX 2018 Female Emerging Leader of the Year Award among other conferences and summits. March for the Ocean: Rally Co-Emcee in Washington, D.C.
EarthX Centennial Stage Featured Speaker: Centennial Stage Featured Speaker in Dallas, TX. USA Science & Engineering Festival 2018: Official Festival Spokesperson, Stage Show Presenter and On-Camera Media Zone Host in Washington, D.C.
USPS STEM Education Forever Stamps Dedication Ceremony at USA Science & Engineering Festival: Mistress of Ceremonies in Washington, D.C.
USA Science & Engineering Festival: X-STEM Featured Speaker in Washington D.C.
Blue Vision Summit: Media Panel at GW University in Washington D.C.
NAAEE Virtual Conference 30 Under 30 Panel: Online Moderator filmed in Washington D.C. Together Green Fellows Retreat: Keynote Address at the Smithsonian in Washington D.C. Regional and National National Science Teacher Association (NSTA) Conferences: New Orleans, Kansas City and many more.